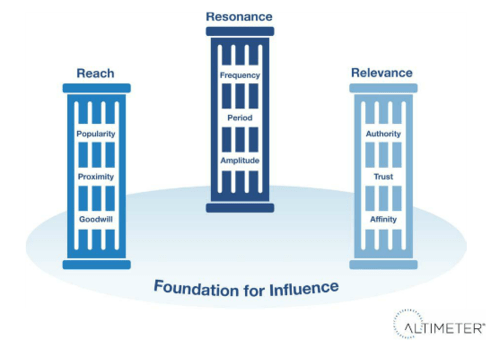 As per the recently released report by the Altimeter group, there are 3 pillars of Digital Influence – Reach, Relevance and Resonance. While it’s hugely instructive as a framework, what interests me is that can potentially explain many trends that we see play out in the digital arena today. Let’s take Google +. That said, there is a critical pillar that G+ is yet to figure out – Resonance. Why? Social Networks Scale with participation: It is known that the worth of a social network increases exponentially with the growth in the user base. In other words, the more friends of mine I see on a particular social network, there are greater chances that I buy into it. In fact that’s precisely why I ‘graduated’ from orkut to facebook a few years ago. Social Networks scale with time: Secondly, the more time I spend on a social networking site, the more valuable it becomes for me, simply because over the years I would have built a network of friends, interests, groups etc. that I am interested in. As a corollary to this – given that garnering a critical mass user base becomes the holy grail of any social networking site, it gets all the more elusive progressively for the newer social networking sites as users find themselves within very high exit barriers. So what does it mean in the context of Facebook Vs Google+? Inertia: As facebook users, while I, along with millions of others have built our own social networks over the years and have started creating our own digital footprints, Google+ now asks me for my willingness, time, effort and patience to painstakingly recreate a similar network on Google+! Does this offer any scale for me as a user? Hardly. The Proposition: Even in terms of its core proposition, G+ offers me a very similar value as a social network as that being offered by facebook and doesn’t offer me anything differentiated (like say Linkedin). Does that entice me as a user? Hardly – unless I want to review it as a techie. With all the recent news about Google+ over hauling its design of the interface and arguably even doing a great job at that, it doesn’t seem to be moving the needle in the right direction for G+. It is here, I guess Pinterest has done an extremely smart thing – it offered a new platform for content creation and sharing and not necessarily a new social network. It just rides on the social networking footprint of facebook and focuses on what it does best – pinning! And that could partly explain why Facebook finds Instagram as a very attractive acquisition – as it sees it more as an opportunity to acquire the ‘most valuable’ user base (most Instagram users are naturally content creators and not mere spectators or joiners) than as an acquisition of a photo-editing and sharing software. It is really interesting and extremely instructive to see how Mark Z and his aides are mapping out Facebook as a Social By Design edifice strongly predicated on the 3 pillars of Digital Influence. Result: an enhanced social experience for users and value for marketers. This entry was posted in Uncategorized and tagged Digital Influence, Facebook, Google, Instagram, Pinterest, Social Networks. Bookmark the permalink.